Brandon University (BU) is pleased to announce the appointment of Dr. Andrew Egan as Dean, Faculty of Science. Dr. Egan holds a Ph.D. in Forest Science from The Pennsylvania State University and is currently the Executive Director of the New Mexico Forest and Watershed Restoration Institute at New Mexico Highlands University. Dr. Egan previously served as Dean of the School of Forestry and Natural Resources at Paul Smith’s College in New York and as a Professor and Canada Industrial Chair designee at Université Laval in Québec. He is the recipient of several awards for teaching and research excellence, including a Senior Fulbright Scholarship (2004). Dr. Egan has led the development of a number of new academic programs and has published over 100 papers and book chapters. As a member of the senior leadership team, Dr. Egan will oversee the Faculty of Science which is comprised of eight departments and serves more than 600 undergraduate students. He will contribute to the development, implementation and promotion of institutional goals including academic programming and research advancement. 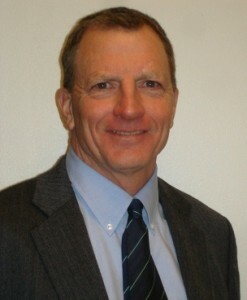 Dr. Egan will begin at BU on June 1, 2013.